Everyone has an angle. Everyone. Your doctor? Sure. But, he or she isn’t the only one. The pharmaceutical company? Of course. The medical device company? The hospital? The insurance company? You get the point. Everyone has an angle. Everyone has a conflict of interest. Know it. Get over it. It’s time to focus on something else. Like filling up your car with gas. In fact, you better plug your ears when you do it. Heaven forbid one of those automated messages at the pump convinces you to buy a 42 ounce gulp of Pepsi. Just another angle, my friends. It’s called life. But, medicine isn’t supposed to have any conflicts of interest, right? Healthcare instead should be like religion, or maybe, like politics… sorry, I’m now getting confused what’s supposed to be pure. We just live at a time in America where so much of healthcare has become invented. And, the more we keep inventing, the more it seems that we lose track of what matters: the hopelessly out-of-date concept known as the patient-physician relationship. We have invented risk scores for calculating our chances of developing all types of diseases, and then we scratch our head when none of these formulas tell us the same thing. We have invented equations for predicting therapies potentially helpful for large populations of certain people, and then we get confused when what’s “good” for the group isn’t “good” for the individual. We have invented pseudo-quality metrics, now the foundation of our government’s healthcare takeover strategy, and then we wonder why these checkboxes aren’t helping more to advance medicine. In recent years, however, we’ve reached an entirely new level. We’ve now managed to invent conflicts of interest that we can apply to other people. And, we’ve even tricked ourselves into believing that we are making medicine more righteous. Harvard cardiologist, Dr. Lisa Rosenbaum, wrote a series of articles last month describing in detail our obsession over this issue. I’ll let you read Dr. Rosenbaum’s articles for yourself, but just know that she provides one of the most refreshing counter-perspectives that I’ve seen in a long time. In fact, I still remember being in the midst of my medical training at a major academic hospital, when this anti-industry perception began to take shape. For those confused by this reference, industry is the term that we use in medicine to describe the companies involved with designing a doctor’s “tool belt.” Industry is essentially our pharmaceutical and medical device corporations. We share in a few common goals, notwithstanding our drive to improve patient outcomes. Almost overnight, however, my institution went from allowing a few industry-sponsored sandwiches at our noon medical conference, to essentially banning industry personnel from being onsite at all. I want you to know that I used to learn about new devices and drugs from industry representatives before they appeared on television commercials. But, this changed immediately. I even had to chuckle when I started seeing commercials for prescription drugs that I’d never heard about. “Ask your doctor if Medicine X is right for you,” the advertisement would say. I’d look at my wife and laugh. The only thing that I knew about Medicine X is that everyone who took it appeared to feel great running along the beach and splashing in the waves. It wasn’t just the sandwiches that stopped coming. Medical schools soon began to get graded on whether or not they had curricula in place establishing an “indsutry-free” environment absent of “conflicts of interest.” Even like-minded physicians remain caught up in this game of purification, often making claims about who should and should not be allowed to write articles for our major medical journals. This argument might sound less ridiculous if there truly were a mystical world free from conflicts of interest. But, remember, everyone has an angle. The interesting thing to me is that the Gnostics stressing purity in medicine usually incorrectly presume that conflicts of interest only exist through financial relationships. It’s almost as if they ignore the fact that anything else you’ve been told or may have dreamed up might be able to bend your train of thought. In fact, it’s rather humorous to state that conflicts of interest only exist around financial incentives. Actually, the more that I think about it, that’s a preposterous claim. I completed my medical training within an anti-industry environment. My physician teachers were employed by my academic institution, and thus, they were forced to separate themselves from “indiscretions” with industry. But, my physician teachers still had their own biases. Every one of them still had their own angle, for whatever reason. I recall working under one doctor who was essentially the only person in the hospital to use a certain FDA-approved medication to treat a particular heart condition. This doctor loved this medicine. He believed in it. He knew how to use it. I think he even knew the exact number of electrons that made up its molecule. This doctor was a brilliant man whom I will still call today when I need help with unsolvable medical cases. But, back then, every time I worked with him and encountered a patient who met a certain criteria in the hospital, I would place an order for this doctor’s preferred medication. And, I would be told that I did a great job. But, you should also know that I worked with another physician just as routinely, who was equally as brilliant. And, this physician never used that same therapy on any of his cardiac patients. He hated it. He was critical of the data supporting its use. And, if I had started it myself on a patient overnight, this doctor would stop it upon arriving at the hospital in the morning. Angles? We’ve all got them. Financial and non-financial. People without conflicts of interest don’t exist. As Dr. Michel Accad puts it: “For full disclosure, my mind is hopelessly under the influence of ideas adopted from others or concocted in my own head.” And, we’ve officially run amuck by inventing more than a few unsubstantiated conflicts of interest in medicine. Review articles? Guideline statements? We are seriously looking for authors with no conflicts of interest? Are you kidding me? This is nonsense talk. Transparency is the best we can ever expect, but even that can’t be commanded. We just need critical thinking, folks. The pendulum has definitely swung way off its mark. Innovation in medicine requires working together, not working apart. Besides, explain to me how in the world the person holding the patent on the electric razor has nothing meaningful to say about shaving. Explain why this person must be silenced and prohibited from discussing its benefits. Are we really so worried about being talked into buying a Pepsi at the gas station that we need more bureaucratic mandates? It’s time for the parties involved–the physicians, the apostles of medicine, and the industry representatives alike–to grow upward by continuing to build upon our common goal of patient care. This makes much more sense than continuing to splinter ourselves by inventing more sacred values. But, then again, I have my own angle. Beware. This is the first of two posts related to the controversy stemming from a series of articles, written by Dr. Lisa Rosenbaum, describing in detail our anti-industry obsession. The second post can be found here. Beautiful and so true. We are all a product of our own biases and all have conflicts. To deny this is to be ignorant of the reality aound us. This is a great blog. We are unique human beings. It is wonderful to learn from each other. That is truly what makes the world go round in all the right ways. I addressed this issue myself at a recent CME. 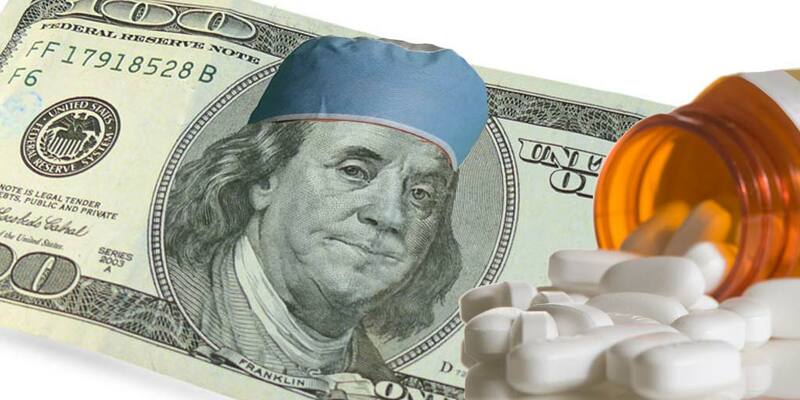 What’s the difference between allegedly being in bed with the Pharmaceutical companies and truly being in bed with the federal government, hospital corporations, and insurance companies who pay physicians 2% more if we check all the right boxes, take their reimbursement breaks and refer our patients to their hospital systems? There is honor among thieves.